Virtually following in footsteps of reigning GTE Champions BeechdeanAMR, Tom Ferrier's GT team rounded off their entrée into the opening round of the European Le Mans Series with an emphatic class win in the 4Hours of Silverstone. Stepping up from the GT3 Le Mans Cup where they secured the GT3 Team honours, Salih Yoluc and Euan Hankey join forces with Aston Martin Racing's and 2016 WEC GTE Champion Nicki Thiim for their assault on the premier multi class european series with the #90 Aston Martin Racing V8 Racing GTE. 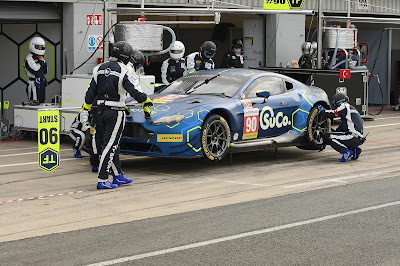 Having already been dominate in three out of the four sessions (including class pole in Qualifying) prior to the race would it have been too much to ask for another AMR debutant win in the opening round? Both teams elected to start the race with race with their respectice Bronze drivers behind the wheel for the opening stint, Salih Yoluc in the #90 car and Andrew Howard in the #99 Beechdean AMR. During the opening laps Yoluc initially managed to hold station relative to a challenging Aaron Scott in the #55 Spiirit of Race Ferrari 488 behind before ultimately succumbing to the pressure. A year or so ago, Yoluc may have over stretched himself to make up for that event leading to a spin or avoidable contact, but a year on, a more mature Yoluc stuck with the teams race plan although now down to P2. 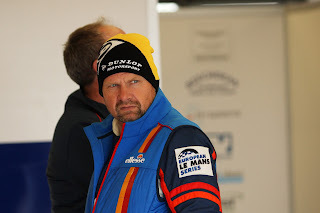 Howard meanwhile, looked a little 'uncomfortable' at the start of his second ELMS season dropping down to P5 in class after just a few corners (believe he may have been baulked by some squabbling LMP3's) before an unpressurised spin dropped him back still further. By the end of the first round of stops Yoluc handed over to Hankey who soon recovered the class lead from the now Bronze driver in the #55. Howard had also handed over to Ross Gunn for his first taste of racing in the series although it was he who set the teams qualifying time yesterday. Gunn was then soon on a very decisive 'recovery drive' for the #99 picking off cars with comparative ease and quickly finding himself snapping at the heels for the final podium slot. Drama was to behold the #90 car however on Hankey's in lap when contact was made with the #51 Spirit of Race Ferrari causing both to spin out at Copse. A momentary lapse in concentration had clearly annoyed Hankey when he was later interviewed in the pit lane. At least with little or no damage done other than lost time Hankey made it back to the pits for a scheduled stop and to hand over to Thiim. 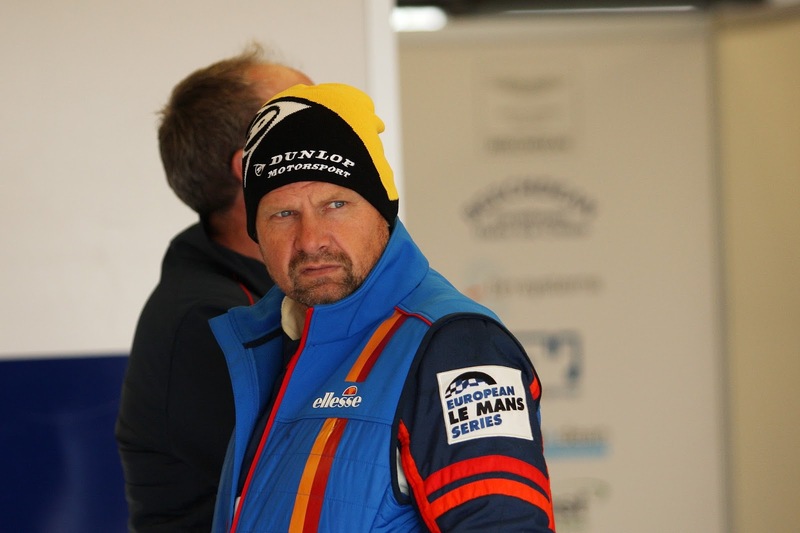 Gunn was also coming to the end of his stint but the methods of his charge had been noted by Race Control for exceeding track limits to receive their final warning - he too would soon hand his car over to another AMR factory driver in Darren Turner. With little over an hour remaining the #90 car was looking more than comfortable in P1 although they would have another pit to do to allow Hankey to see out the race. Turner was having a classic GT tussle with Joel Camathias in the sole Porsche 911 but despite the older Porsche being BoP'd with the 2016 specification AMR the writing was on the wall - AMR 1-2 it was for a time before he too had to pit and hand back to Gunn. 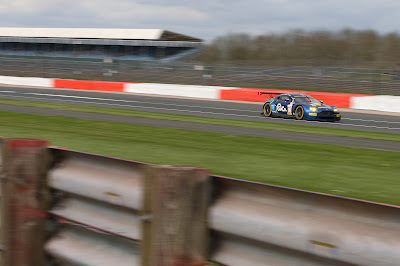 Come the end of four hours of highly charged and entertaining four hours it was Yoluc's 'Honeybadger' car that took the GTE class chequered flag first one whole lap ahead of the Proton Competition Porsche in second with a re-charging Gunn just one second behind him. 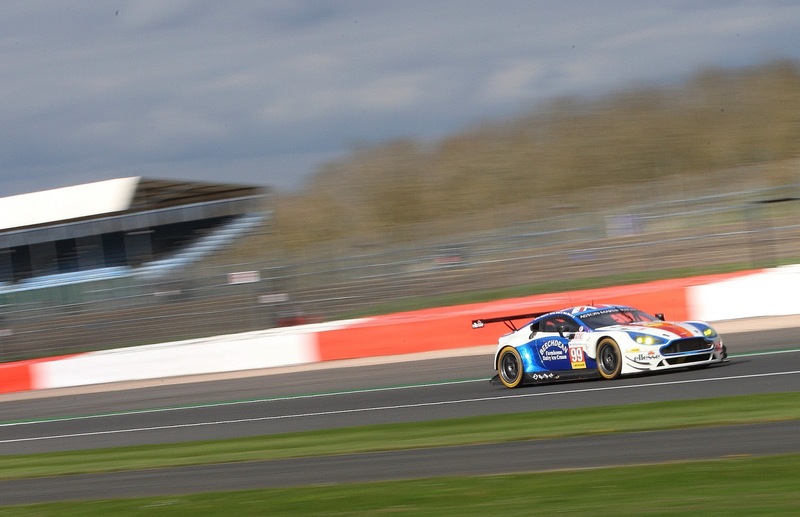 For the second time in two years a deputising Aston had won (provisional result) the ELMS GTE class at Silverstone! 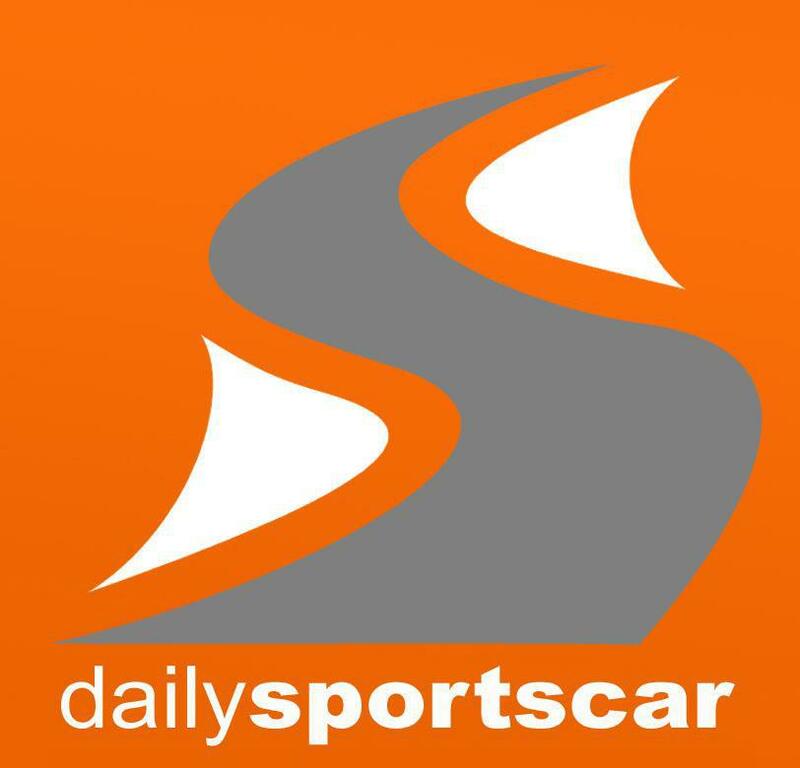 Hats off to TF Sport for another highly efficient operation having made the step up from GT3 racing and indeed fulfilling Ferrier's desire to race at this level - just a shame he had to leave for Oulton Park last night so wasn't there to witness todays events. 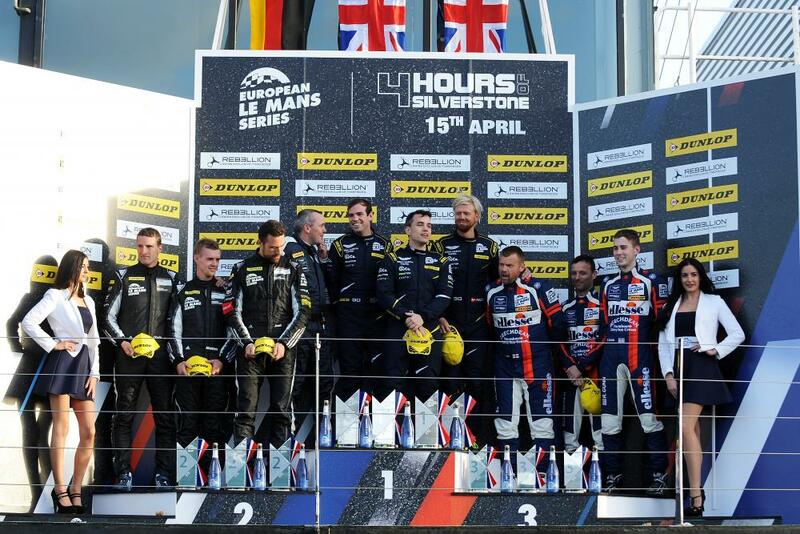 Hats off also to Beechdean AMR and their crew who worked so hard Friday to get their car back up and running so competitively after the gearbox issue in Free Practice - the third position was totally deserved. Next round is a return to the Autodromo Di Monza in a months time.